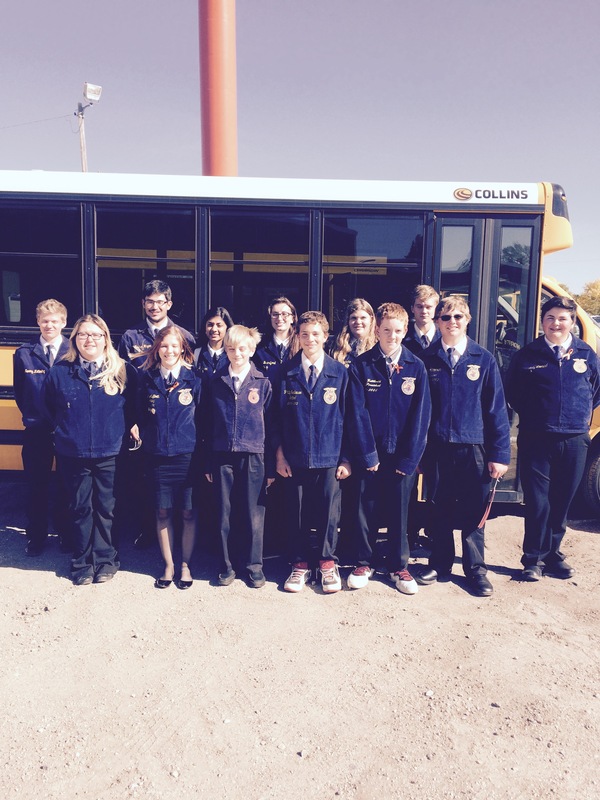 Thirteen FFA members and Advisor Whitney Hansen attended the District 3 Leadership Conference in Rugby, on September 29. 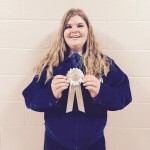 District Leadership is an opportunity for students to showcase skills in various contests to earn their trip to State Convention held in Fargo in June, or the State Parliamentary Procedure contest held in Bismarck in October. 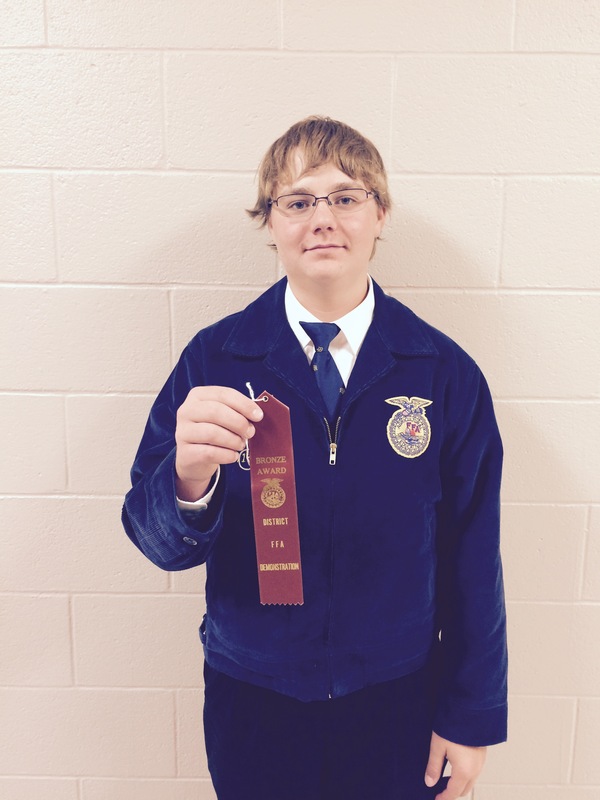 In individual events, Jayden Handeland received silver ribbon in the Creed contest for his efforts. 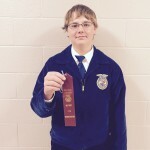 Evan Nelson took home a bronze for his Demonstration on Flocking Decoys. 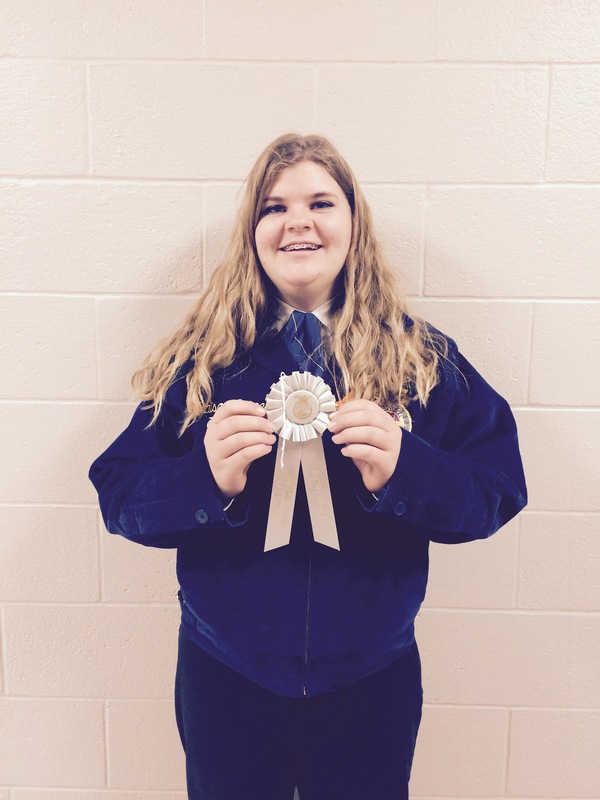 Madison Reimche earned silver in Extemporaneous Public Speaking. 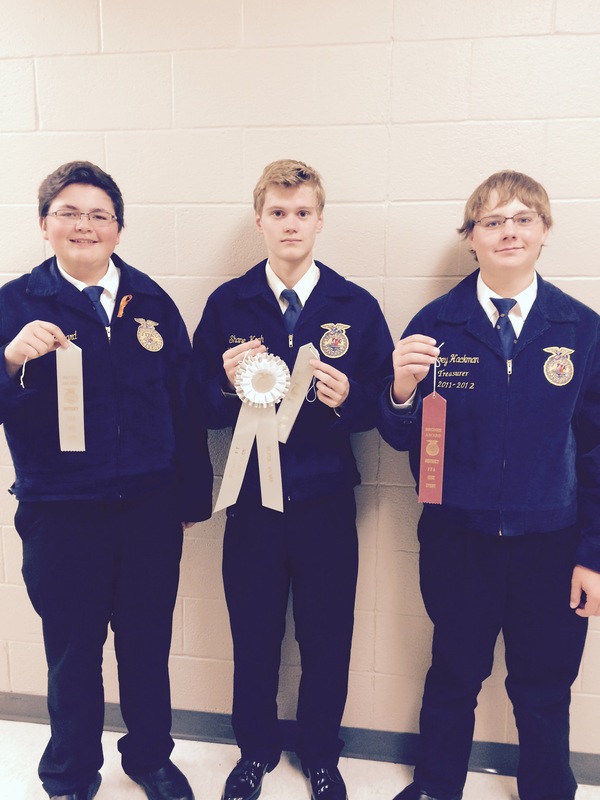 As for team events, the Parliamentary Procedure team earned a silver ranking. 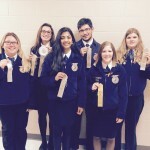 The team consisted of Chapter President Juliann Brandjord, Vice President Kaytlyn Aufforth, Secretary Anjali Kumar, Treasurer Cody Hunt, Reporter Madison Reimche, and Sentinel Megan Hunt. 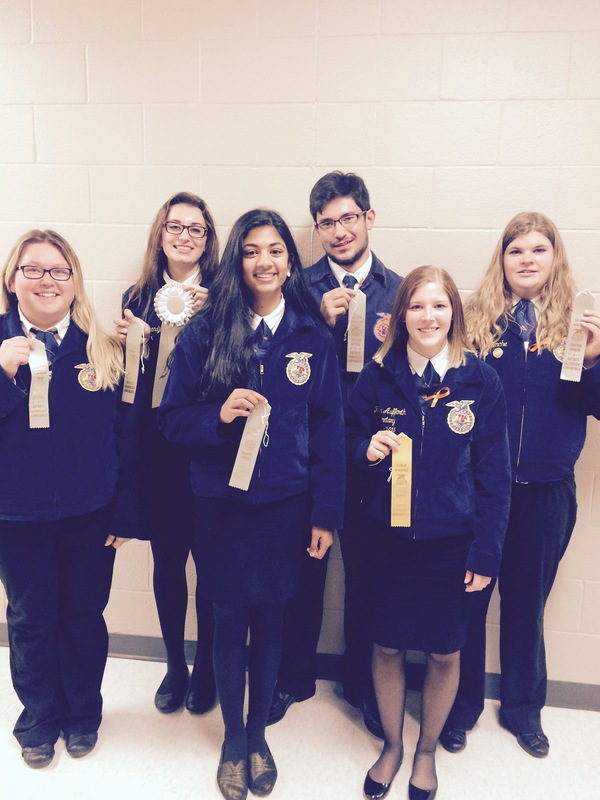 Each team member also took home silver for his or her individual office, with the exception of Aufforth, who earned a gold ranking. 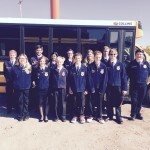 In the Advanced Quiz contest, the Bottineau team earned silver. 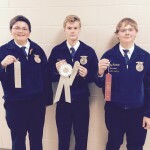 Cody Leonard and Nic Costa both took home a silver award in the contest, and Evan Nelson earned bronze. 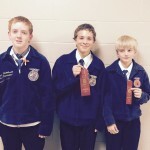 The Greenhand quiz team brought back a bronze ribbon for their efforts. 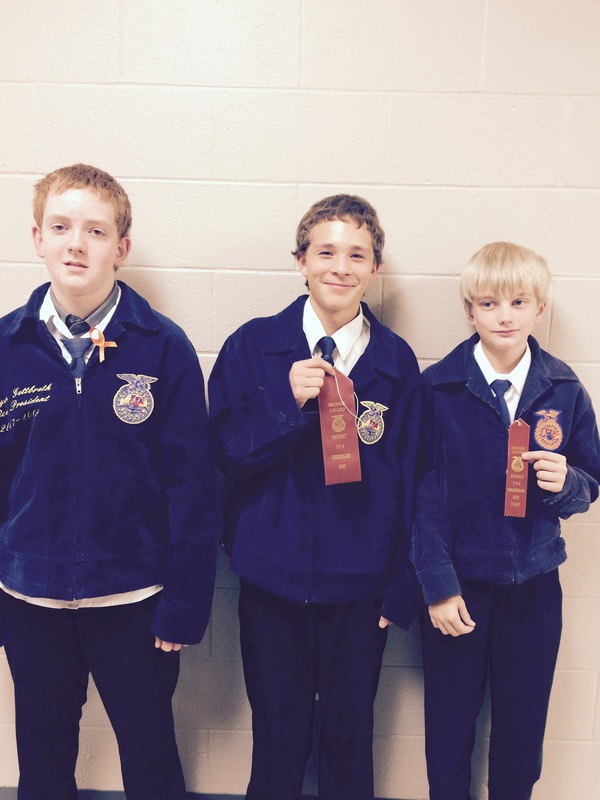 Hayden Vandal earned bronze, and team members included Bruce Blahnik and Kevin Yourk. 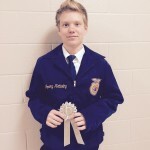 Overall, Bottineau FFA ranked 3rd in the District, behind Rugby and the Chapter of the Day- Harvey. It was a great first event of the school year for the members. 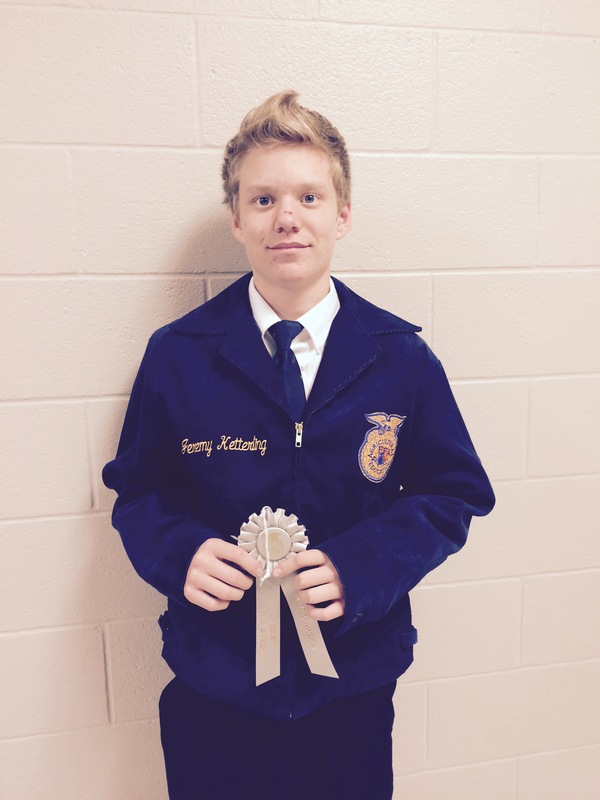 Upcoming FFA events include the Annual Christmas Fundraiser and National FFA Convention.